Half way between Sainte-Maure de Touraine and Saint-Epain, the Château de Brou is perched on the side of the Manse valley, which it seems to watch over. Said to have been built by Maréchal de Boucicaut in the 15th century, Château de Brou stands on the site of a fortress, the only surviving features of which today are a cylindrical tower – currently the Charles VII suite – and the remains of a surrounding wall. In 1262, the lord of the area was Guillaume de Chergé. At the beginning of the 20th Century, the Marquis de Moges, the then owner of the land in this area, dwelt in the Château de Brou. His initials can still be seen decorating the ceilings of the ground floor and the imposing fireplace in the lounge. 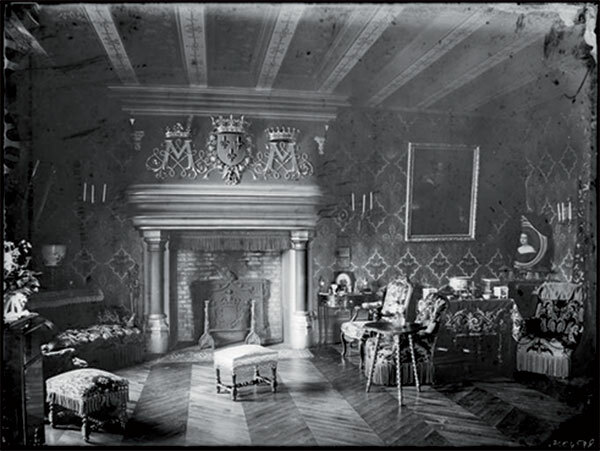 A widower without children, he shared out his property in his will, with his goddaughter Mademoiselle Ida des Acres de l’Aigle inheriting the Château de Brou as well as part of the surrounding woodland and the Beaugé Farm. 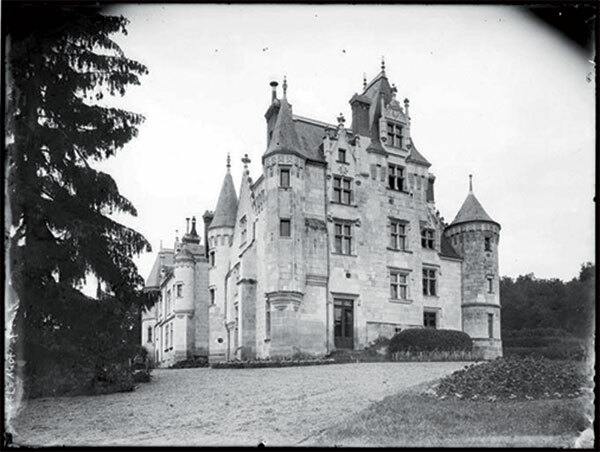 At the time, Mademoiselle de l’Aigle lived with her mother, Madame la Comtesse de Grammont des Acres de l’Aigle, and her brother, count Louis, at the Château des Avenues at Compiègne, in l’Oise. She devoted her life to helping her mother and her disabled brother, but in particular to the relief of human poverty, no form of which she was indifferent to. Despite her busy life of selfless dedication, Mademoiselle de l’Aigle needed to take possession of her inheritance quickly and to decide what to do with it. She told the priest of Noyant, Abbot Brault, of her predicament, and as a result decided to protect children from a life of destitution by training them to be gardeners. Returning to Compiègne, Mademoiselle de l’Aigle entrusted a part of her duties to a friend, Madame de Chezelles, who took great interest in the project to the point of becoming considered one of its founders, contributing her moral and financial support. This was how all the former students of Brou came to see pinned to the walls of their classrooms the portrait of two uncommonly tall women, wearing the same kind of hat and the same little white collar, dressed as if they were two sisters. It was the portrait of the two female creators of Brou: Mademoiselle de l’Aigle and Madame de Chezelles. For many years, they trained young gardeners, the “former students of Brou”. Some years later, Madame de Chezelles was to leave to her companion the heavy burden of their shared project. Mademoiselle de l’Aigle devoted her life to carrying out the will of God, whom she joined on 2nd February 1966. The sisters of the “Dominicaine” order who had been living with her carried on her work at Brou and it is in this way that the estate went on to become one of their ‘family houses’ up until 1996, when the sisters decided to put the Château up for sale. Christian and Bernadette Girault, seduced by the charms of the estate, decided to give it a new lease of life by opening it to the public. The complete restoration of the Château was commissioned under the leadership of a passionate master builder. The project brought together a number of local companies, pooling the efforts and skills of various teams of workers, craftsmen, stone masons, painters and decorators, as well as glass artists trained by Lobin, and the famous lighting artist Bidault, known in particular for having “clothed in light” the Eiffel Tower. They all collaborated magnificently in what was a difficult restoration project, requiring as it did sensitivity to the region’s past and to the local environment. Passionate about the hotel trade, in which a warm welcome and high quality are paramount, The Chateau de Brou welcomes guests in 4 stars hotel. In 2017, the property offer rentals for guests who want discover the Loire Valley with family, friends and for professional or private events.